Well, let me take a minute to reassure you. First of all—HELLO! I am sooo not tech savvy. Like, NOT. at. all. 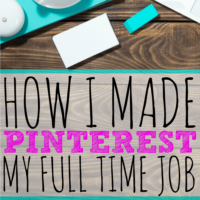 When I first started blogging, I had no clue what I was doing! I was just a frugal Mom with a new baby and a dream. I figured there must be other ladies out there who were interested in learning about what I was doing with my family’s budget. 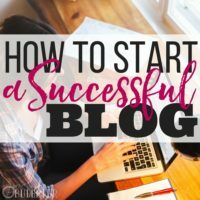 To be successful, I knew I would need to find the very best resources for starting a blog. So I found them. AND I'm going to share them with YOU. Blogging newbies, you're going to LOVE this list of brilliant blogging resources! Quick thing about me: I started my blog pretty blindly. I found some helpful blogging resources at first, but for the most part, it was a lot of trial and error. I stuck to a post schedule and tried to put as much honesty and personality into my writing as I could. Soon, I was making a tiny bit of money from the blog (which was super exciting)! It takes money to make money, so I took any profit my blog made and invested it right back in to making the blog (and myself) better. One of my early investments was a class called Elite Blog Academy. Talk about a total gamechanger!! This class was it! I went through the units step by step, did the homework, and applied every single strategy (and meanwhile had another baby). My blog started to really take off! And here's the thing, you guys: I am now making a full-time income blogging. Yes, that’s right. I swear I’m not a genius. I didn’t have a magic formula and Bill Gates isn’t my uncle. I don’t have a “blog gene.” I am a (well, relatively) normal mom of two kiddos. I was pretty much just like you when I started out blogging! If I can do it, you can do it. I even wrote out this easy step-by-step guide to help you get started blogging. I'll even walk you through the process and show you what you need to know. Starting a blog is totally worth it. It can change your whole life!! There are some great blogging resources and blogging tools out there to help you succeed! Elite Blog Academy (EBA) was the biggie for me, but there are several other blogging resources you should keep in your toolbox as well. Check these out! When you start a blog, you need a host. Think of it as where your blog will live. There are lots of different options. GoDaddy is probably the most well-known. They’re cheap, but the customer service isn't great. Beginners will want a helpful host company with really great customer service. I cannot give enough positive feedback about Bluehost. They are amazing. They’re super helpful and priced on par with GoDaddy (the difference is nominal). They’re also extending a discount if you are a friend of my site! A word of advice: Set up with a good host to start because moving your site later is a pain in the beee-hind! Tool #2 is WordPress. Think of Bluehost as the paper/canvas and WordPress as the pencil/paint. WordPress is used to build your blog and create content. You can set up WordPress right through Bluehost account once you’ve set up your site. In WordPress, you’ll choose a theme, which is the layout and “look” of your blog. There are a bunch of free themes right in there when you get started and changing your theme later isn’t a big deal, so go ahead and pick whatever you like! WordPress is easy to use, plus, they offer guides on how to set up and how to improve your blog. It’s “open source,” meaning people are building and sharing tools as they work within the software. I know it sounds complex, but I promise it’s as easy to use as Microsoft Word! This little blogging book is a serious gamechanger. Written by Ruth Soukup (founder of Elite Blog Academy and the blog Living Well Spending Less), this book is a fantastic blogging resource. Considering you can pick it up for around $10, it’s a great investment for first-time bloggers. 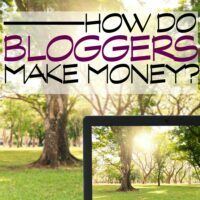 This book will outline what you need to do to start making money off your blog in a friendly, easy-to-read style. It will get you excited about your blog and help you understand what to do to become successful. If you're a more advanced blogger (well, still read How To Blog for Profit, but) there's another AWESOME blogging resource called The Product Launch Playbook (also by Ruth), that's a truly incredible step-by-step guide to launching your first product. It's actually not offered right this second, but it will be again! You can sign up for the waiting list here. Look, I gotta say it again: there's no single blogging course or resource I recommend as highly as EBA. For bloggers, THIS is the course that will help you move into the big leagues. There are vital steps that everyone tends to miss when setting up a blog. EBA covers EVERY STEP of the process from A-Z and Ruth walks you through every single step to making your blog successful. Think of it as training for your new career or the most helpful college course you will ever take. It’s self-paced. You complete each unit on your own timeline and apply it to your blog. You can network with fellow bloggers within the program as well. There’s often a waitlist for EBA, as enrollment only opens a few times a year. Sign up for the waitlist to get great regular (free!) blogging resources and advice sent to your inbox while you’re waiting. This blogging course is a MUST. When starting out, one of the most daunting concepts is affiliate marketing, as well as understanding how to become an affiliate. To put it simply: businesses and companies pay you to mention their products and services in your blog writing. They should be businesses and products you already use, like and talk about. They are businesses you frequent, vendors you are happy with, or products you find helpful (such as ingredients used in your recipes). If you’re going to mention products and brands on your blog—and you should—becoming an affiliate is how you will earn money. I have a great Core Affiliate Strategy Guide that will walk you through the affiliate process. It’s amazingly simple and easy it is to work with companies you love. Companies WANT affiliates. Over a 12-month period, I went from earning nothing to earning full-time income on my blog in the first year (and now much more). I did it by getting affiliates. In my Core Affiliate Strategy Guide, I’ll walk you through all you need to know! It sounds broad, but one of your most vital blogging tools is social media. Once you have a blog name and concept in place, secure accounts on Facebook, Twitter, Instagram, and Pinterest—even grab your handle on Snapchat and Tumblr. Cross-post your content to many of these channels using a social media scheduling program like Hootsuite. Schedule posts ahead of time to take the pressure off. Social media is a huge driver of traffic and followers for your blog, so definitely take advantage. Depending on the focus of your blog (visual blogs might prefer Instagram, others might love Twitter), decide what works best for you. Then start promoting the heck out of your blog! 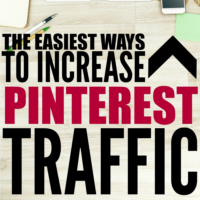 For most bloggers, Pinterest is vital to driving blog traffic. They’ve recently changed their algorithms, so information and strategies on the best ways for bloggers to use Pinterest are always evolving. I offer a Pinterest Strategy Guide, which is currently sold out (but will be offered again in the future). You can sign up for the guide here. While you wait for the Pinterest Strategy Guide… two tools that I use for my Pinterest strategy are Board Booster and Sumo. These two blogging tools help you grow your email lists and drive traffic to your blog through people who “pin” your posts or photos. Sumo has a great image share feature that allows readers to share/pin your images without slowing down your site. Board Booster helps promote your site through Pinterest in a shockingly short amount of time. With these blogging tools, I spend about four hours on Pinterest a month, which is minimal considering how much traffic I get from the site. I also like PicMonkey for creating “Pinterest-friendly” images. Basically, if you’re a novice at graphic design (and believe me, a graphic-designer I am NOT), this program helps you easily edit and polish up images to be pinned! Blogging beginners need an email program to connect with subscribers and send out regular emails, updates and newsletters (a.k.a. powerful ways to drive traffic and get readers to find your awesome blog posts and keep coming back for more). For newbies, I like MailChimp. It’s free (or very inexpensive, depending on your plan). Before I had 2000 subscribers, I used it to build my list and connect with my audience. Here's the thing: If you're not ready to send out newsletters yet, THAT'S OKAY. For now, these handy little tools can help you collect email subscribers who might be interested in your future blog posts and products. Once I hit 2000 subscribers, I switched over to ConvertKit. I love ConvertKit. It’s a great, easy-to-use mail program that can help you create forms, increase your subscribers and engage with your audience. Email will help ensure readers are regularly visiting your blog. You need subscribers to grow and an email service to reach them. WordPress uses these cool little add-ons called “plugins.” Think of these as apps or widgets for your blog. Basically, they’re mini-programs added on to WordPress, often for free, to do all sorts of cool activities. One that I’ve found most helpful is Yoast, which helps you with SEO (Search Engine Optimization). If you're brand spankin' new to blogging, SEO can seem like…well, let's just say there's tons of information out there that's more than confusing. All you need to do for now is pick 2 or 3 words that, as a phrase, describe what your post is about. Enter them in the “focus keyword” field in Yoast, then read the bullets below—they'll tell you what to do. There's a lot more to learn about SEO, but it's better to start out using this plugin as a starter strategy, than to not do it at all. Another plug-in to check out is Akismet, which helps you weed out the astronomical amounts of SPAM you will receive on your blog (seriously). This program will save you so much time. Who wants to sort through and delete spammers all day? Not me! There are plugins for adding social media and Pinterest buttons to your site, to help you format recipes on cute cards, and to help you check out statistics and traffic on your site. But for now, start small. One key to successful blogging is to simply stay motivated to write and schedule posts regularly. This is one of the biggest hurdles for newbie bloggers…and it contributes to why so many new bloggers drop off before they see growth. It’s hard to keep posting regularly and keep thinking up new topics to write about. That's where a handy editorial calendar and blog planner come in. You can use any format or program you like, but when I first got started I really liked this simple printable blog planner from Portland Bloggers. There are tons of options out there, so research and find a blog planner you like. Brainstorm a bunch of post ideas and log them on your calendar. This is especially helpful if you aren’t sure what to write about or if you often sit down to write and draw a blank. If you have a crazy mom-schedule, finding pockets of time to write are precious and you don’t want to waste them with writer’s block! 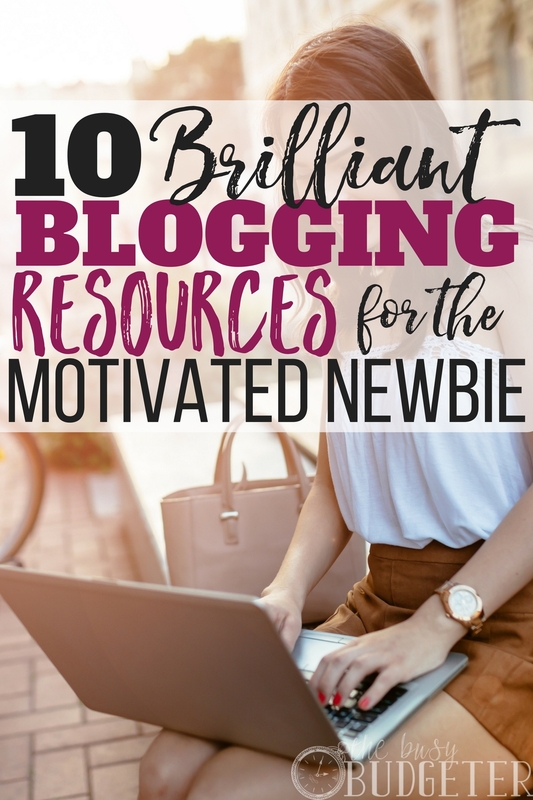 Use these 10 Best Blogging Resources for Starting YOUR Blog and you'll be well on your way to success! There's no time like the present to get started…or take your blog to the next level! Let me know what resources you’re rocking! What blogging tools are must-haves for your blog? I love the list and just because of your earlier recommendations, I have all except the 10th one. Means I’m a good to go newbie wooo! So getting a blog planner this week. These are great tips! I typically work one month ahead and schedule my blog posts in case life happens or I just get lazy. It works like a dream. Great list! I’m just going through your Core Affiliate Strategy and putting it in to practice. This is such a helpful list! I can check off every single item here, but only because of your helpful advice. I’m so excited to grow my blog! Theae are great tips and though I’m not a newbie, I am new to thinking of my blog as a business rather than the hobby it’s been for the past 6 years. I’m excited to take the next step and as an EBA student, I soooo wish I had taken it when it first came out. I just moved to Convertkit last month and am seeing a big difference in # of subscribers and engagement with them (I LOVE getting replies to my emails). I’m an avid planner too and created my own free blog planner to offer to subscribers. It’s so important for corraling all the ideas swirling in my head. My next steps are to continue to grow my list and finish EBA! Thanks for your help in wanting to help others be successful at blogging as you have been. Wow I see I have a lot to learn. Thank you for sharing! Nice list of resources for newbies. I’m with Go Daddy as a host and love them, never had any problems in the 4 years I’ve been blogging. WordPress is the best. Yoast is an awesome plug in. Good tips! Thanks for sharing with us at Merry Monday. Great list and I’m going to be checking some of them out. Wow, that’s impressive blog income. I’ll have to see about that elite blogging course.